The recent incident at the University of Cape Town with students protesting to have the statue of Cecil John Rhodes removed from their campus has sparked debates among Rhodes University students. The discussion about changing the university’s name has resurfaced, at least among students, and the university can’t ignore this discussion any further. Rhodes University is named after Rhodes who was one of the founding fathers of colonial oppression in South Africa. The technicalities of why the university was named after him and whether it was his idea or not is insignificant to the argument I am making. He is a symbol of oppression for the continent, and to continue honouring him or anyone like him symbolically within institutions of higher learning goes against the project of transformation. The idea of changing the name is often diverted to other issues and the fact that we should concern ourselves with bigger problems. “Don’t you have more important things to worry about other than changing names?” is the usual question that arises through such debates. The problem with this way of thinking is that it opposes any form of activism because there are other “important” matters. Well … if it’s just an insignificant name or a statue, then changing it shouldn’t be an issue. And if it is all THAT important, why would one prefer to imbue it, overtly, with a history of oppression when one could choose otherwise. Symbolic disruptions are necessary to offend the very powers that be, a necessary act especially for institutions of higher learning that are deeply imbedded within a dominant white supremacist culture. Part of being committed to transformation means interrogating the spaces we find ourselves in to challenge the barriers that inhibit our progression and integration in the name of power. To call the UCT students “childish” is to completely miss the point about transformation and further indicate to an even stronger need for that transformation. In a conversation on the Rhodes SRC page about this matter, several students assert that changing the name is a way of denying our history. We should also be careful of our approach to history and how this approach shapes how we see ourselves as a society. History keeps unfolding and the danger with being obsessed with history in this manner is that we are bound to get trapped in it, unable to reimagine ourselves. It is as though we are stuck trying to fit ourselves into a history that has been handed down to us because we are unable to recreate ourselves outside of that history. 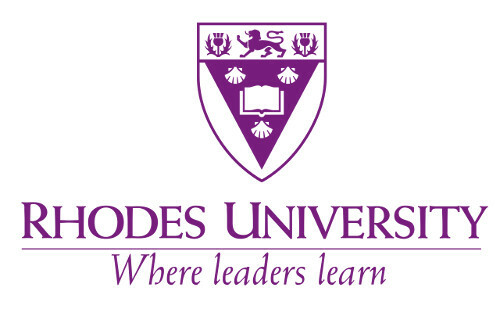 In fact a name change for Rhodes University is an opportunity for the university community to reconsider a portion of its symbolic identity beyond its history. Why would we, who regard our society as a new society in our integration as the rainbow nation, refuse ourselves such a profoundly uniting opportunity of recreating ourselves? There is nothing about giving ourselves new names that removes the “significance” of Rhodes as oppressor in our history. If anything, history will judge us as a community that redefined itself. Not changing the name, and being opposed to changing the name further re-inscribes the white supremacist culture we are attempting to denounce. This disruption is necessary for destabilising a history that is deeply rooted in colonialism. It is a step in the right direction of emancipation that positions itself against power. There is a difference between acknowledging historical events and symbolically locating those events in our everyday lives in a way that reproduces the same history in nuanced ways. We should change what we can, when we can. Rhodes University can learn a thing or two from the current UCT conversation about symbolism and as a result of this conversation must undergo a process of thorough introspection of understanding its oppressed history and actively attempt to circumvent the mental oppression that comes with such a history. We have to view the name change as a process of making our own history. Welcome Mandla Lishivha is a master’s student with the school of journalism and media studies at Rhodes University.